Takes you on a tour of the graphics powerhouse, Illustrator CS. 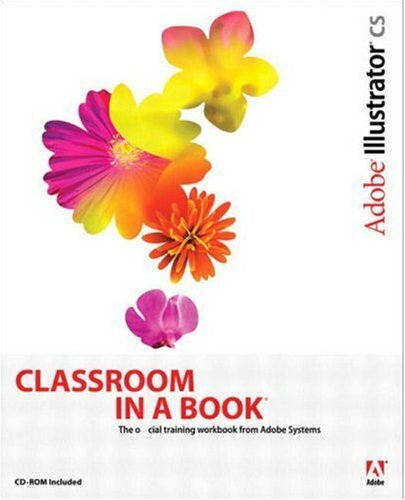 This book offers project-based lessons in all of Illustrator's key features, including those that are new to CS: powerful new type tools, the Scribble Effect, hundreds of professionally designed templates, support for 3D graphics, and more. How often have you wished you had access to the team behind your favorite software--in this case, Adobe Illustrator--so that you could really pick their brains about all of its coolest features? With this book, you do. In these pages the Adobe Creative Team gives you a guided tour of the graphics powerhouse, Illustrator CS. Best of all, it does so at your pace. Whether your beautifully designed graphics end up in print, the Web, broadcast video, or even cell phone displays, this book shows you how to get them there--easily, elegantly, and efficiently. You'll find step-by-step, project-based lessons in all of Illustrator's key features, including those that are new to CS: powerful new type tools, the Scribble Effect, hundreds of professionally designed templates, support for 3D graphics, and more. Each chapter contains a project that builds on your growing knowledge of the program, and a companion CD includes all the files needed to complete the book's lessons.